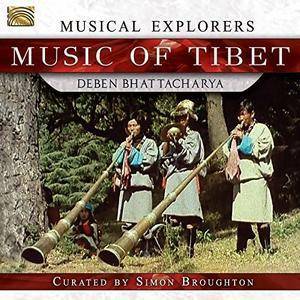 This album was recorded in Nepal at Tibetan Buddhist monasteries of the Gelugpa and Nyingmapa sects. Most of the cuts are Gelugpa, including part of the Chäd – a cleansing ritual. Other sections include the assembly call (with conch horns), prayer wheel, prostration rites, and more. 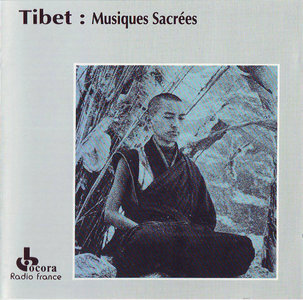 A second group of tracks includes a ritual to Vajrayogini – a major female deity in Tibetan Buddhist practice. Various ritual instruments (thigh-bone trumpets, hand drums, cymbals, oboes, etc.) are heard. Oliver Shanti (born Ulrich Schulz 16 November 1948 in Hamburg, Germany), also known as Oliver Serano-Alve, is a New Age musician, best known for his work with the bands "Inkarnation" and "Oliver Shanti & Friends". 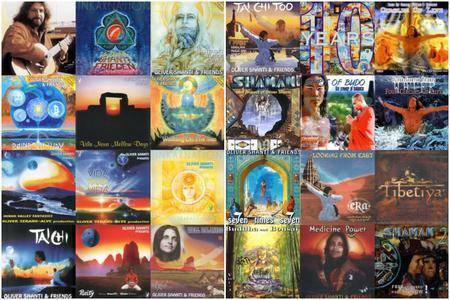 Genre: New Age, Mantras | Label: Prabhu Music Ltd.
Deva Premal is a musician known for her meditative spiritual new-age music, which puts ancient Buddhist and Sanskrit mantras—as well as chants in other languages—into atmospheric contemporary settings. Premal met her partner in life and music, Miten, at the Osho International Meditation Resort in Pune, India in 1990, where she was studying reflexology, shiatsu, cranio-sacral therapy, and massage.They have been touring together since 1992, offering concerts and chant workshops worldwide. 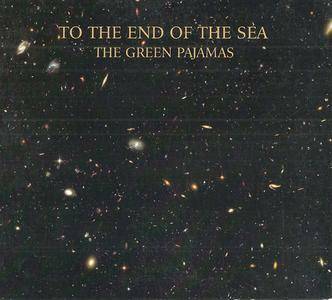 Seattle's The Green Pajamas released a new full length in 2016 and it's called To The End Of The Sea. The label that released this is Olympia, Washington's Green Monkey Records. Deben Bhattacharya’s film, Echoes from Tibet, was shot in 1979 in Ladakh, (often called ‘Little Tibet’), Darjeeling and Dharamsala. 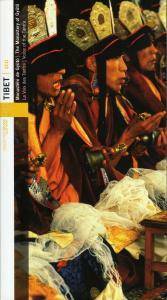 Here many Tibetan exiles and the Dalai Lama (who appears in the film) are based. The music on the accompanying CD was recorded in 1975 and 1979 in the refugee communities of Ladakh, Himalchal Pradesh, Sikkim and Darjeeling, and also in Sarnath, close to Varanasi where the Buddha gave his first sermon. 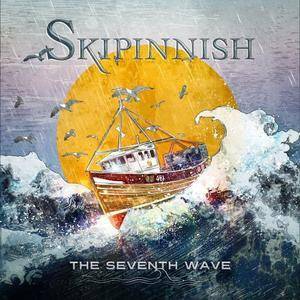 The latest release from the award winning band Skipinnish with their distinctive, authentic and vibrant Scottish Highland West Coast sound. Co-founders Andrew MacPhail (Tiree) and Andrew Stevenson (Lochaber) met while studying at the highly acclaimed R.S.A.M.D in Glasgow. With a similar passion for authentic traditional Scottish music by early 1999 'Skipinnish' was established. Since then Skipinnish have gone from strength to strength and are indeed one of the busiest sought after bands on the scene. Very rare chant of vajra meditation. Maybe the music itself just wasn't mysterious enough for the Nonesuch label, so on a subsequent reissue of this title all that was reissued was the title itself, but the recording featured is actually different than the material that was included on this, the original album version. 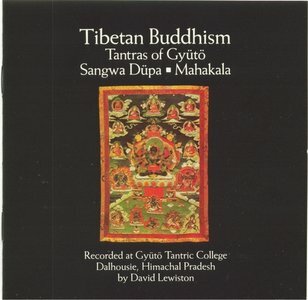 Major recorded documentation took place in Bhutan in both the early '60s and early '70s; when producer David Lewiston actually did his recording of these Gyuto monks is not something the busy producer of world music recordings seems to have wanted to share with his audience, not even as a reward for squinting at the liner notes. The sloppiness of the vinyl pressing did nothing to help this particular series of releases, which were first of all mastered with an extremely wide dynamic range, then pressed on the el cheapo side, because after all, this was a budget label. 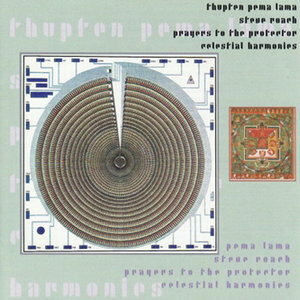 Rather than music, think of this as contemplation on a disc, meditation on CD. 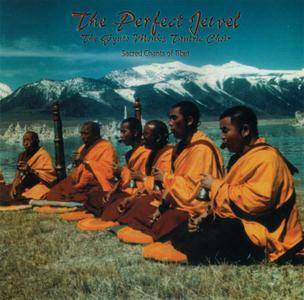 Listening to the Gyuto Monks Tantric Choir is more or less guaranteed to put your mind in another space with their eerie overtone signing (similar to the throat singing of Tuva). Two long tracks don't so much develop as unwind in sections, using voice and a few other instruments – notably short and long trumpets reminiscent of alpine horns and some percussion. Recorded by Radio France on October 3, 1975 during the Festival d'Automne at the Théâtre des Bouffes du Nord. Comes in a long digipak with an attached 26 page booklet of notes in French, English and German. Craig Pruess is a versatile American composer, musician, arranger and gold & platinum record producer who has been living in Britain since 1973. His career has covered diverse areas including:record production and arranging for international stars such as Sir Cliff Richard, Anu Malik, Sheila Walsh (Grammy nominated album: "War of Love"); feature film soundtrack music ("It's a Wonderful Afterlife", "Bride & Prejudice", "Bend It Like Beckham", "The Mistress of Spices", "What's Cooking? ", "Bhaji on the Beach"). 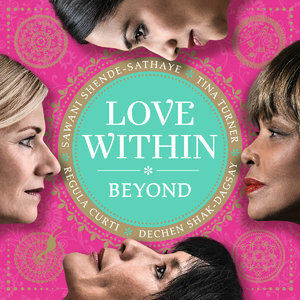 Buddhist, Christian and Hindu prayers featuring Tina Turner, Regula Curti, Dechen Shak-Dagsay and Sawani Shende-Sathaye. This music is a praise to all divine Mothers, goddesses and saints, to the female power within all of us. Unconditional love is powerfully shown in the symboles of the Divine Mother of all faiths and cultures, religious and non religious. Compassion and love is the all embracing sound of the heart. 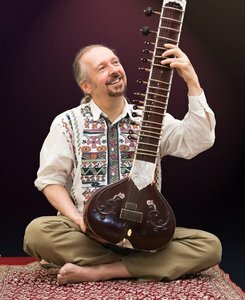 SELWA marks the second pairing of fusion guitarist Steve Tibbetts with Tibetan Buddhist nun Choying Drolma. Like 1997's CHO, SELWA is a deeply atmospheric, musically adventurous journey that remains true to the spiritual underpinnings of Drolma's practice. A monk whose resonant, mellifluous vocals evoke both the solemnity and the serenity of her chants and prayers, Drolma's singing gifts strike the listener immediately. Even more striking is how perfectly Tibbetts's percussion, effects-drenched guitar work, and production flourishes suit Drolma's voice. Tibbetts's accompaniment is supremely sensitive, supporting and echoing Drolma's phrases and inflections with a variety of suitable instrumentation. Recorded by Radio France on October 3, 1975 during the Festival d'Automne at the Théâtre des Bouffes du Nord. It was inevitable that synthesist Steve Roach would apply his soundscape designs to the deep, ancient, and often harrowing chants of Tibetan Buddhist monks. He's gone into the primal core with Aboriginal sounds and cultures on albums such as Dreamtime Return, and his Magnificent Void CD stepped into the abyss. On Prayers to the Protector, he works with the chants of Thupten Pema Lama of the Dip Tse Chok Ling Monastery. In Roach's studio, Thupten Pema Lama sang these devotional prayers and entreaties unaccompanied. Then Roach slipped them into his own soundworld, surrounding the monk with evanescent waves of synthesized ambiences. Being Steve Roach, this isn't the usual pretty New Age synth-glissandos, but darkly hued textures with metallic edges. 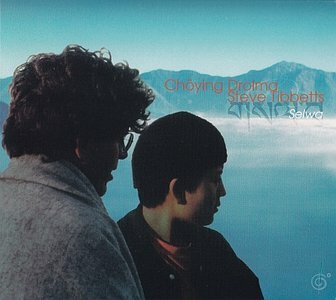 On "Djewa takgya lingchee lhunbur dje" (a prayer for the world, according to the liner notes), he evokes the metal gongs and bowls of Tibetan chants as well as a freight train putting on the brakes in space. Prayers to the Protector doesn't dress up Buddhist chants, it just sends them into deeper space. 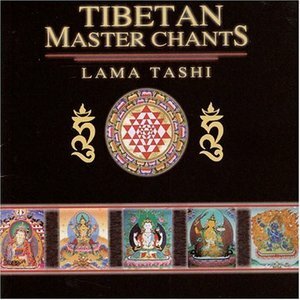 This is truly one of the most amazing deep Tibetan chants I have ever encountered. The first time I heard it, after a short period of time it took me to a deep trans state. Since then I'm looking everywhere for this kind of music. 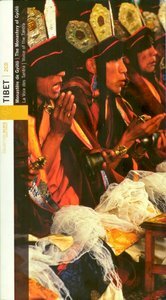 Not only from Lama Tashi, but many others. If you want to feel the essence of what the world can give you, than this is one of THE ways to go!